What could be better than warm beef stew on a cold and rainy winter day? 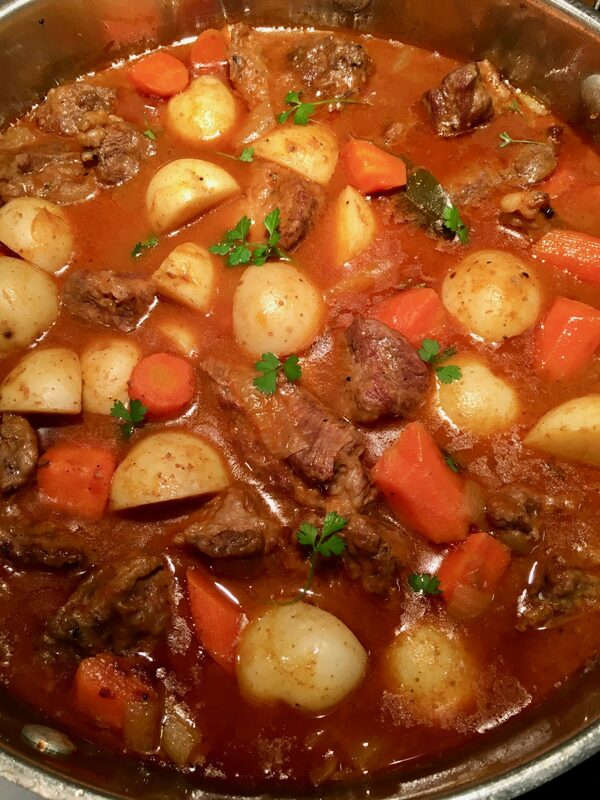 Here is my version of the classic beef stew using simple ingredients. This is probably my ultimate beef stew. And I think you are going to want seconds. Braising anything in wine is always a good idea, it actually does wonders. A few splashes of Sauvignon Blanc definitely gives the stew a rich taste. 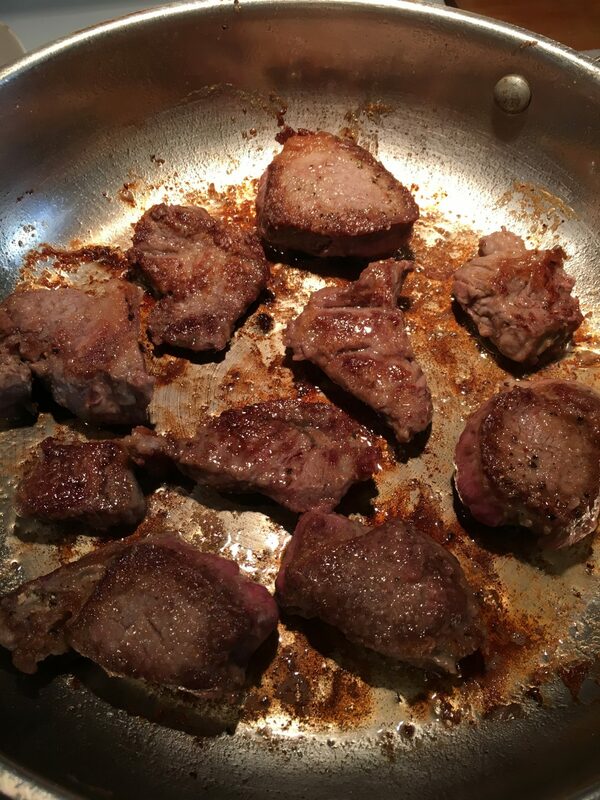 Lightly drenching the beef with a little flour also makes the sauce pleasantly thicker. First, start by browning the beef on both sides. As a result, this leaves you those tasty brown bits on the bottom of the pan. Next, sauté the vegetables, hit it with wine, and add the tomato paste. Then in goes the beef, stock, thyme and bay leaves. 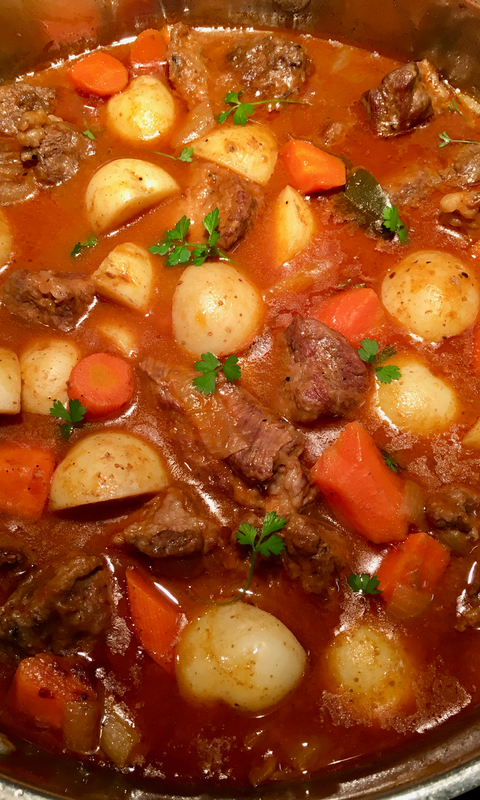 The stew is then slowly cooked in the oven, with the potatoes added towards the end. A garnish of chopped fresh parsley on top finishes off the dish. If you are wondering what to serve it with, well how about crusty bread, mashed potatoes or steamed rice? Cook Time 2 hours + 45 mins. Preheat oven to 325ºF degrees with the rack on lower third level. Cut the beef in 1 1/2 inch pieces. Heat oil in a large oven-proof Dutch oven on medium/high heat. Meanwhile, season beef with kosher salt and freshly ground pepper. Place flour in a shallow rimmed dish. Lightly drench beef with flour, shaking off the excess. Next, brown beef in hot oil for 3-4 minutes on each side, in 2 batches. Do not crowd beef in hot oil. Then transfer beef on a plate. 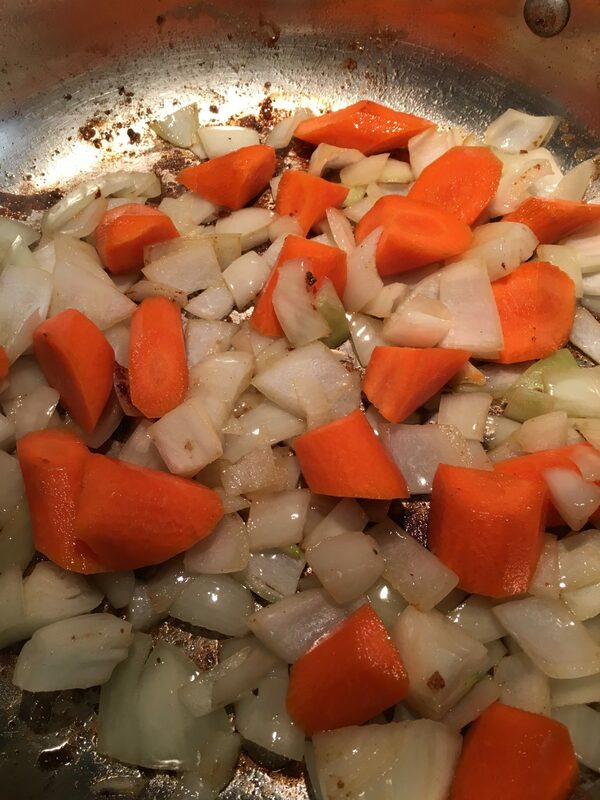 Lower heat to medium and add onions, garlic and carrots. Add a little more oil if pot gets dry. Let it cook for 5 minutes, mixing once. Season with a little salt and pepper. Then add wine and let simmer for 1 minute. Mix in tomato paste and let it cook for 1 more minute. Add beef, stock, thyme and bay leaves. Cover and let it come to a boil on medium/high heat. Then transfer Dutch oven inside the oven and let it cook for 1 1/2 hours. After 1 1/2 hours, add potatoes in the pot, cover again and cook in the oven for another 1 hour. Adjust seasoning with salt and pepper to taste. Serve immediately with a garnish of chopped fresh parsley on top.